When warm weather moves in, locals and visitors love dining on the patios and roof decks around Boston. 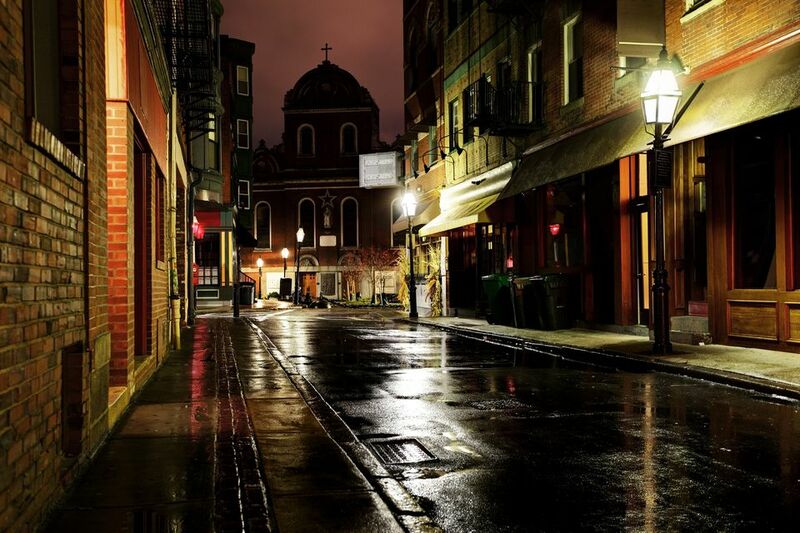 The North End features some of the best Italian restaurants the city has to offer, and many of them have options for dining outdoors. From patios to balconies to terraces, check out the al fresco dining possibilities in Boston's North End neighborhood. Ristorante Fiore is in the heart of the North End serving authentic Italian cuisine, with two different options for dining outdoors. They have a garden dining area near their entrance, as well as the only rooftop deck on tony Hanover Street, a great place to enjoy food and drinks al fresco. All pasta is made in-house, with must-try specialties like the bombolotti con aragosta e gamberi. Be prepared to indulge your palate; Fiore has one of the more extensive wine lists in Boston, with many hard-to-find varieties. Mother Anna's Restaurant is the oldest family restaurant in the neighborhood (dating back to 1932), so they must be doing something right. Their patio is located right on Hanover and Cross Street, with views of the city, the park, and all the action the North End has to offer. There are many tables with umbrellas, to shade you on the hot summer days. They offer affordable pricing on their Italian cuisine, and plenty of wine and drink options, including the perennial favorites ​gnocchi Liliana and shrimp exquisito. Trattoria Il Panino serves Italian-Mediterranean cuisine inspired by the Amalfi coast region of Italy. It is one of Boston restaurateur Frank DePasquale’s most beloved restaurants, especially because of their outdoor patio area. You can even sit out there when cooler weather creeps in, since they just close up the tent surrounding the patio, and crank up the heat lamps. Try the pepita di cozze or if you're feeling adventurous, sample the baby octopus affocato. Aragosta Bar and Bistro, a new restaurant where Sensing once stood, has already received Open Table’s “Best Outdoor Dining 2010” award. Their terrace provides guests with tranquil water views, as you nosh on Italian-Mediterranean cuisine and sip specialty cocktails. Aragosta is open for breakfast, dinner, and brunch. During the summer, live entertainment is featured on the terrace. While they don't have a traditional terrace or patio, Carmelina's has retractable front walls which open up during summer months for an open-air dining experience. The owners bill the fare as "traditional Sicilian comfort food. Try the pollo cardinale or the tonno con pesto Siciliano e fusilli, and be sure to check out their impressive list of domestic and international wines. Co-owned by former Boston Bruin Ray Bourque, Tresca's lower level is known as Cafe 77, in honor of his Bourque's jersey number. Fresca offers Tuscan-inspired dishes and has a small balcony for intimate dinner dates. The swordfish puttanesca and the agnolotti di zucca are perennial favorites, and its list of craft beers is definitely worth perusing. This sophisticated oyster bar serves dinner every day and its cozy, lounge-style patio is perfect for a relaxing evening. Try the homemade gnocchi frutti di mare or the kampachi tartare for a taste of what this restaurant has to offer.